We are seeing a massive swarm attack of imitation emails. They look legit, but when you click on them WHAM, your computer is infected, crashed, or worse you become a casualty of identity theft. 1. 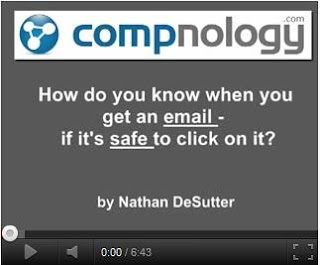 How do you know if an email is safe to click? 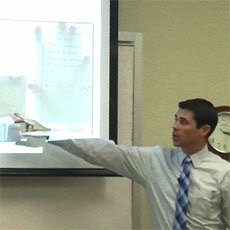 Watch the video for techniques to identify bad emails. - Mouse over the links. - Are links all to different places? - Did you expect an email from the sender? 2. What are these emails? Well first they are spam emails. Second they are usually phishing emails or they have a virus attached. 3. But I have Anti-Virus? Most of the FedEx type fake emails have an attachment; once you click it your computer becomes infected. 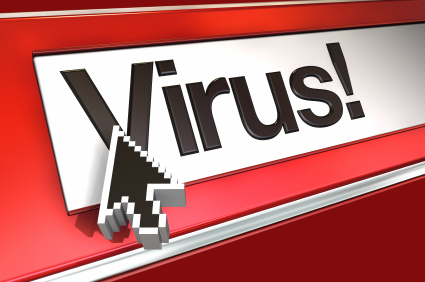 Most good anti-virus software will catch this, but not always. Just like in medicine, sometimes there has to be a sickness before there can be a vaccine. Many times it takes hundreds or thousands of computer infections before anti-virus vendors have created a 'cure' and enabled your computer to be protected. 4. 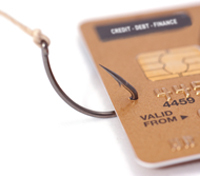 What's a Phishing Email? The phishing emails send you to a cloned 'authentic-looking' website asking you to provide private information. Once submitted the criminals now have your information and will use it to gain access to your real banking sites, email (to re-send more spam), company network, and any other way they can steel more personal info in a greedy effort to use identity theft to make a buck. 5. Why am I getting these emails? Why do you get junk mail in your home or business snail-mailbox? Your physical address is public record. If someone has your email in their contact list, and they get infected, everyone in the contact list (that including you) now gets spam from that computer. This spreads like wild fire across the internet. Infecting computer after computer. 6. What should I do? Good Anti-Spam will block much of this. But not all. Good Anti-Virus will protect against most of this. But not all. Make sure you have a trusted IT Professional monitoring your network. Make sure your computer / server / network security systems are in place, updated and maintained. And above all, help everyone to develop safe internet / email habits. DON'T click a link you don't absolutely trust. Treat every link / website / email like a person at your front door at 11:00pm at night, would you let them in?